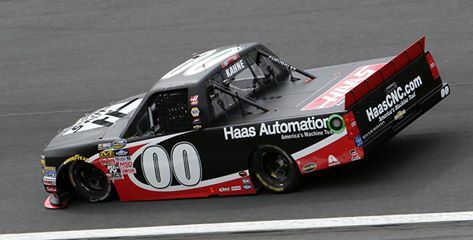 Early Thursday evening at Charlotte Motors Speedway (CMS), Kasey Kahne – with a lap speed of 180.258 MPH – was fastest during the first NASCAR Camping World Truck Series (NCWTS) NC Education Lottery 200 practice session. Joe Nemechek was second fastest in the session with a lap speed of 179.856 MPH, and he was followed by series Rookie of the Year (ROTY) candidates, Daniel Hemric (179.581 MPH) Spencer Gallagher (179.485) and Justin Boston (179.313) were third, fourth and fifth fastest respectively. Another ROTY candidate, Erik Jones (179.152) was sixth fastest, while Scott Lagasse Jr. (179.099) was seventh, ROTY candidate Brandon Jones (178.672) eighth, Tyler Reddick (178.571) ninth and Brad Keselowski (178.501) posting the 10th fastest lap speed. Final (“Happy Hour”) practice will be held later this evening from 7:00 p.m. – 8:55 p.m. (ET – On FOX Sports 1), and then on Friday at 5:45 p.m. (ET – On FOX Sports 1) the teams will qualify to determine the starting lineup for that evening’s race. At Charlotte, the current series qualifying track record speed of 183.773 MPH, was set by Kyle Busch last year on May 16th. The 13th annual North Carolina Education Lottery 200 is scheduled to get underway on Friday night at approximately 8:50 p.m. (ET), with television coverage provided by FOX Sports 1. Joey Logano, with a qualifying lap speed of 192.397 MPH, captured the pole Friday night at Kansas Speedway for tomorrow night’s NASCAR Sprint Cup Series (NSCS) SpongeBob SquarePants 400. Sharing the front row with Logano to start second with a qualifying lap speed of 191.911 MPH will be Kasey Kahne; followed by Brad Keselowski (191.857 MPH) starting third, Martin Truex Jr. (191.782) fourth and Carl Edwards (191.578) starts fifth. The reigning series champion and current points leader, Kevin Harvick (191.299 MPH) will start sixth, while Greg Biffle (191.015) starts seventh, Kurt Busch (190.853) eighth, Jamie McMurray (190.228) ninth and Kyle Larson (190.154) rounds out the top-10 starting positions. Failing to make the starting lineup was Brendan Gaughan. Weather permitting, the 5th annual SpongeBob SquarePants 400 is scheduled to get underway around 7:50 p.m. (ET) Saturday evening, and this night race will be televised by FOX Sports 1. 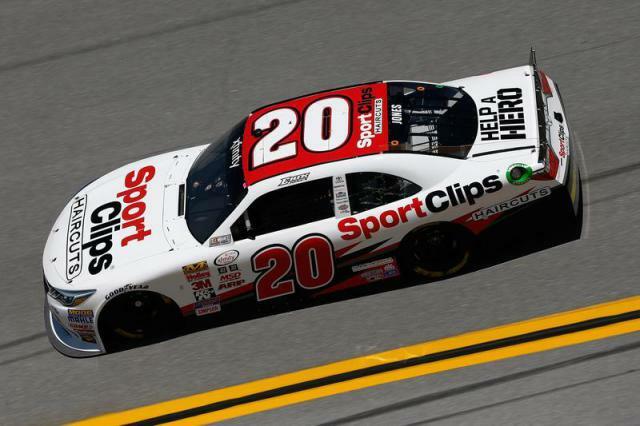 In the only practice session being held for Saturday’s NASCAR XFINITY Series (NXS) Winn-Dixie 300, it was Erik Jones – with a lap speed of 188.861 MPH – on Friday, posting the fastest lap around Talladega Superspeedway (TSS). Series Rookie of the Year (ROTY) candidate, Darrell “Bubba” Wallace Jr. and Ryan Reed both had the identical lap speed of 188.727 MPH, and were recorded second and third fastest respectively, while Regan Smith (188.086 MPH) was fourth and ROTY candidate Daniel Suarez (187.621) was fifth. Rounding out the top-10 fastest drivers in the “Happy Hour” (final) practice were Kasey Kahne (187.141 MPH) who was sixth, Aric Almirola (187.053) seventh, John Wes Townley (187.017) eighth, Brian Scott (186.903) ninth and Chris Buescher (186.827) posting the 10th fastest lap speed. According to the entry list, 45 drivers will be attempting to qualifying for Saturday’s 40-car race lineup; meaning that 5 of them will be heading home if they fail to start. Qualifying to determine the starting lineup and pit stall selection for tomorrow’s event will be held that morning at 11:00 a.m. (ET – On FOX Sports 1), where the current series qualifying track record speed is 193.517 MPH – set by Joe Nemechek on April 26th, 1997. The 24th annual Winn-Dixie 300 is scheduled to get underway around 3:20 p.m. (ET) Saturday afternoon, and FOX (not FOX Sports 1 or 2) will provide television coverage of the race. 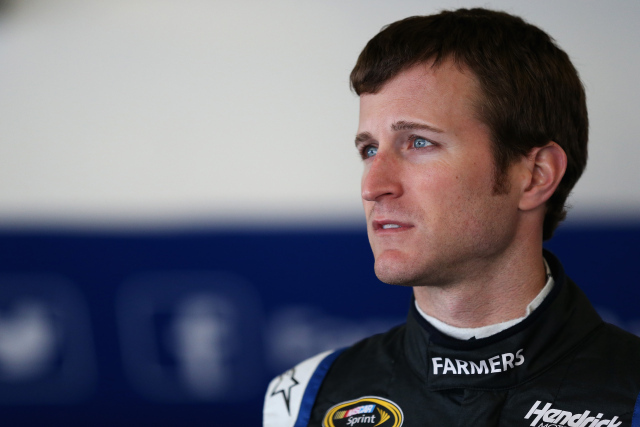 During the final NASCAR Sprint Cup Series (NSCS) Toyota Owner 400 practice session on Friday, it was Kasey Kahne – with a lap speed of 126.357 MPH- showing the fastest way around Richmond International Raceway (RIR). Rounding out the top-10 fastest drivers in the “Happy Hour” (final) practice were Martin Truex Jr. (125.780 MPH) who was sixth, Landon Cassill (125.652) seventh, series Rookie of the Year (ROTY) contender, Brett Moffitt (125.576) eighth, David Gilliland (125.441) ninth and Jimmie Johnson (125.406) posting 10th. This evening the teams will return to the track for qualifying to determine the starting lineup at 5:45 p.m. (ET – On FOX Sports 1), and Jeff Gordon currently holds the series qualifying track record at RIR with a speed of 130.599 MPH, which he set on September 9th, 2013. Weather permitting (70% chance of rain at the time of posting), the 61st annual Toyota Owners 400 is scheduled to get started approximately at 7:20 p.m. (ET) Saturday night, and FOX will provide television coverage of the race. 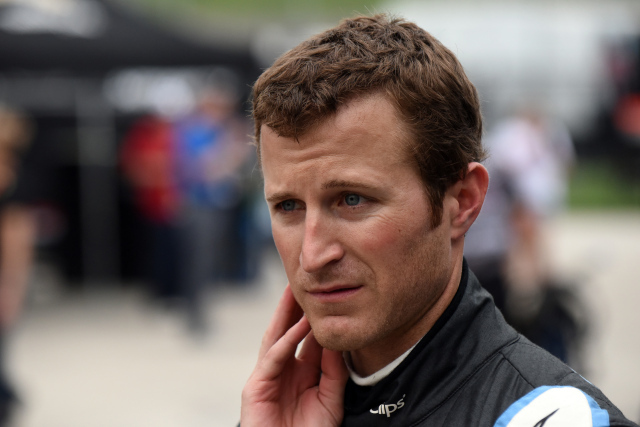 Kasey Kahne, on Friday – with a lap speed of 128.168 MPH – was the quickest during the first NASCAR Sprint Cup Series (NSCS) practice session for Sunday’s Food City 500 in Support of Steve Byrnes and Stand Up to Cancer at Bristol Motor Speedway (BMS). Second quickest with a lap speed of 128.159 MPH was Kahne’s fellow Hendrick Motorsports teammate, Dale Earnhardt Jr., and they were followed by Brad Keselowski (127.971 MPH) who was third, Carl Edwards (127.554) fourth and David Ragan (127.546) was fifth. Rounding out the top-10 quickest drivers in the session were Justin Allgaier (127.503 MPH) who was sixth, while Joey Logano and Ryan Newman (with the identical lap speed of 127.495 MPH) were seventh and eighth quickest respectively, Jamie McMurray (127.410) ninth and Austin Dillon (127.385 – Note: Michael McDowell also had the identical lap speed) posting 10th. Qualifying to determine Sunday’s starting lineup will be held later today at 4:45 p.m. (ET – On FOX Sports 1), and the current series qualifying track record at Bristol is 131.362 MPH, which was set by Kevin Harvick last August (08/23/14). On Saturday, the series will have two more practice sessions beginning with a early morning session (8:30 a.m – 9:25 a.m. ET – On FOX Sports 1), and then their final (“Happy Hour”) practice later that morning/early afternoon (11:30 a.m. – 12:25 p.m. ET – On FOX Sports 1). The 55th annual Food City 500 in Support of Steve Byrnes and Stand Up To Cancer is scheduled to get underway around 1:20 p.m. (ET) Sunday afternoon, and FOX will provide television coverage of the event.